Touch on the “Profile” tab and slide the screen to the right. Touch on the “General Settings” option. 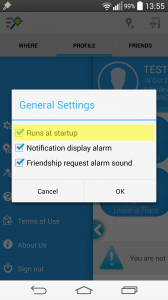 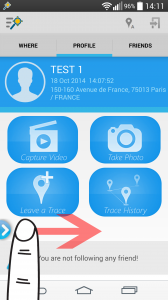 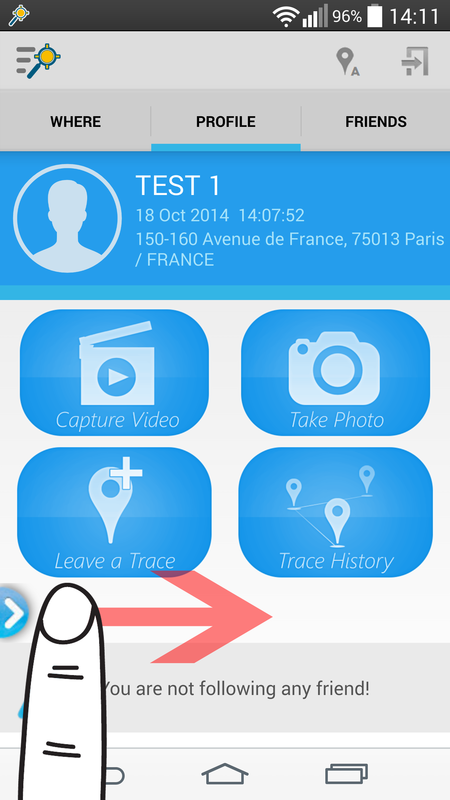 This option asks you whether you want Traceper run when your device is starting. 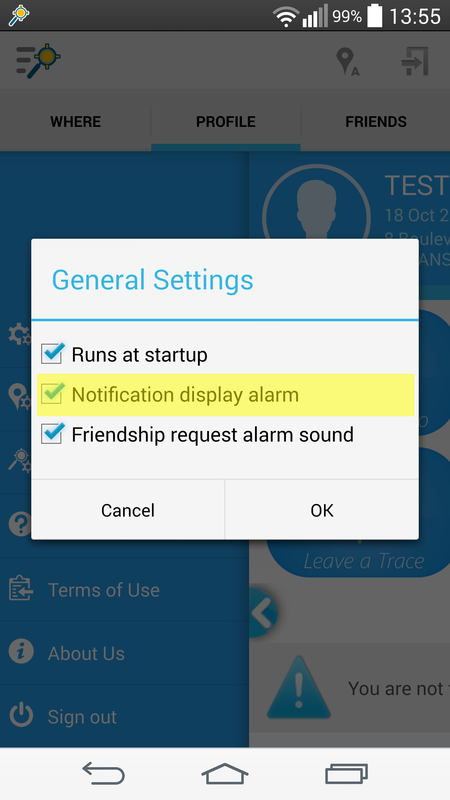 Traceper gives you notifications for various situations (for example, when you send a location data (either manually or automatically), have a friendship request, friend you are following changed over etc.). If you do not want to receive notifications you should uncheck this box. This option asks you if you want to recieve an alarm sound, when you have a new friendship request. 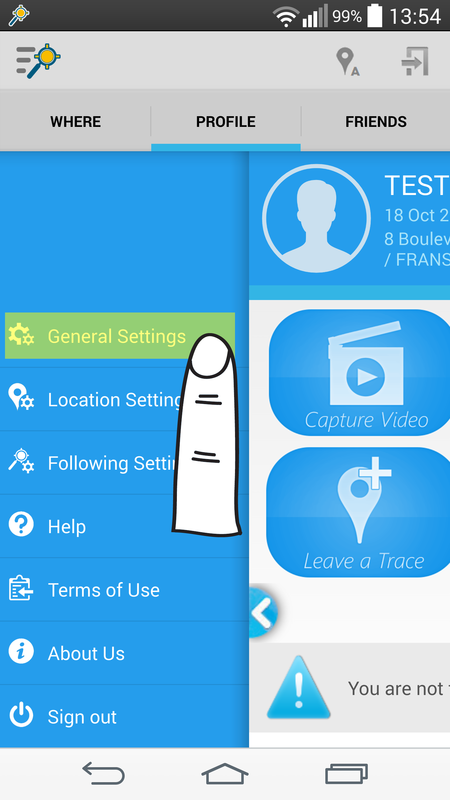 Touch on the “OK” button in order to to save the changes you’ve just made.